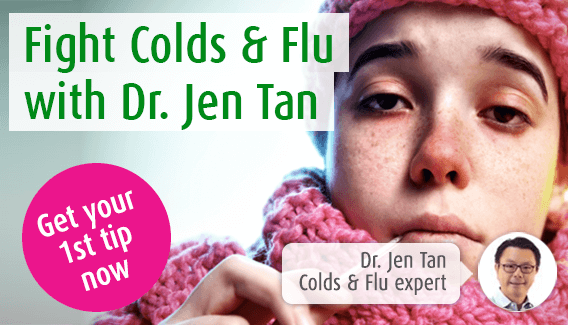 home > health > immune-system > blocked nose > whats causing my blocked nose at night? There’s nothing worse than settling down for a good night’s sleep only for a blocked nose to make an appearance. However, is it really possible for a blocked nose to suddenly appear or get worse at night? I’ll discuss this, along with a few tips to ease a blocked nose, in today’s blog. Why does my blocked nose get worse at night? Rather than it being the time of day that influences your nasal symptoms, in many cases it is the simple act of lying down that causes a blocked nose. That’s because when you lie down in bed, your body is no longer able to drain mucus out of your nose through your throat as gravity simply isn’t working in the right direction anymore. As a result, if you’re suffering from a blocked nose it could suddenly get worse at night when you lie down in bed. On the other hand, some people find that their nose feels completely normal all day but then suddenly becomes blocked at night. This is because a slight increase in mucus production might not be noticeable whilst you’re standing up as the nose is able to drain itself however, it will certainly become noticeable at night when this draining function is removed. Smoking, passive smoking, pollen and various allergens such as dust and animal dander, can cause issues for many of us. It is surprising how many allergens we can be exposed to each day, especially during the hayfever season. They collect on our clothes and hair and, by the time night comes around, levels can be at their peak. If cigarette smoke is the issue, ban this around the home, even for guests! Dust mites are a common allergen but are often forgotten as a cause of a blocked nose at night. If this is an issue it is important that bed covers and sheets are washed regularly and that a dust mite protector is used on the mattress. The sinuses are air-filled cavities in your face. We do not fully understand why they exist, but one possible reason is that it makes our voices resonant and loud. Sinusitis occurs when these cavities become inflamed – this may arise as a temporary symptom of a cold or flu, but can become more prolonged or chronic. Inflammation in the sinuses leads to an increase in the amount of mucus secreted, and as this collects in the upper nasal passages, a blocked nose develops. Symptoms can be worse at night, and can be affected by posture or your sleeping position. Avoid alcohol as this relaxes (dilates) your blood vessels and therefore causes the tissues in your upper nasal passages to swell which is something you don’t want if you have a blocked nose. Air containing little or no moisture can be a cause of a blocked nose, especially at night. As your nasal passages become increasingly dry, the nasal tissues over-produce mucus in an effort to keep the area moist and this leads to a blocked nose. Dry or dusty air is not a big problem for those of us who live in the UK but it could be an issue if you spend a lot of time in an air-conditioned environment or if you live in another country, particularly in those with desert or arid lands. Humidifiers can be extremely helpful as they add moisture to the air, which in turn allows symptoms to become more manageable. No, we are not talking about a pea up a child’s nose, instead there are two main causes of a blocked nose and both can be worse at night. The first is nasal polyps which are small growths of tissue in the nasal passages. They arise as a result of chronic inflammation such as with allergic rhinitis or sinusitis. The second issue is called a deviated septum which basically means that the bones in the nose are not in the right place. This may arise as a congenital malformation or injury (typically a rugby injury) and leads to a blockage of the nasal passages. Another option is using nasal strips which allow the passageways to open slightly thus assisting with breathing. During this stage in a woman’s life, levels of oestrogen and progesterone rise which can increase blood flow to different parts of the body. In the nasal passages, the delicate tissues are more prone to swelling so this increase in blood flow can lead to restriction of air flow and a blocked nose. As posture can worsen the situation, many symptoms can get worse at night. Also, if you suffer from asthma, a blocked nose during pregnancy will be something extra to cope with. Viral infections are the most common cause of a blocked nose amongst children. Children are much more likely to pick up bugs as their immune systems are still developing and, consequently, their resistance to infection is low. In addition, a child’s nasal passageways are narrow and are easily obstructed, so any swelling of the nasal tissues makes a blocked nose more likely. Lastly but most importantly, if these steps don’t help to relieve congestion a trip to your doctors may be necessary.